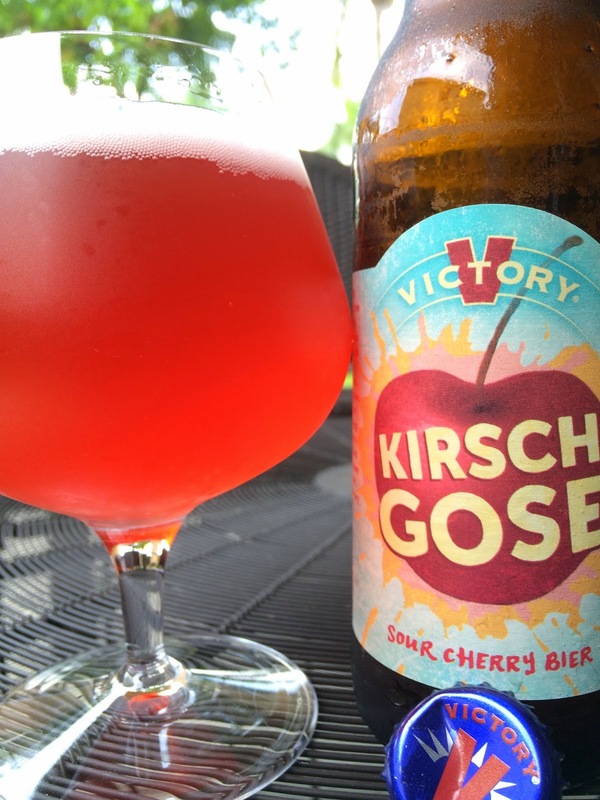 I picked up a bottle of Victory Brewing's Kirsch Gose Sour Cherry Bier a few days ago. 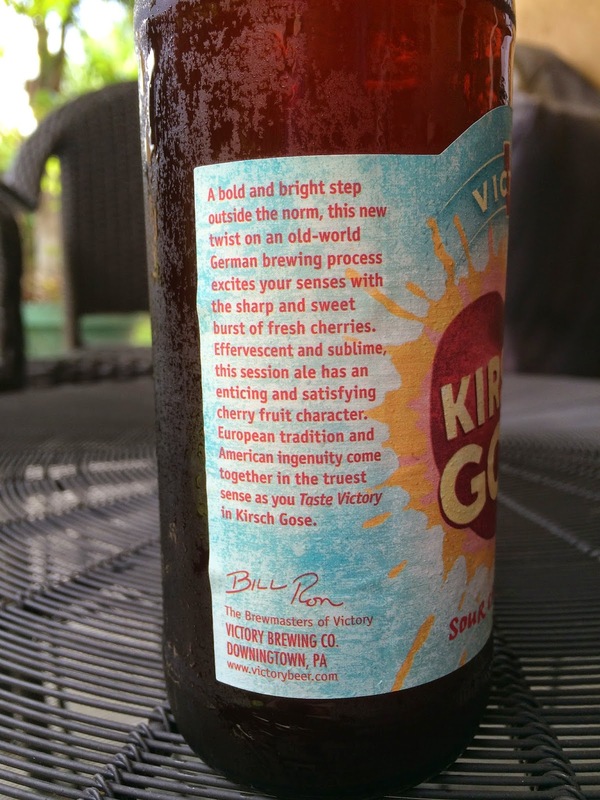 Victory is one of my favorite breweries, but this style is a bit off the beaten path for them. Actually, it's funny because after I typed that, I read the story on their label and they call this "a bold and bright step outside the norm." 4.7% alcohol. Electric pink color. Lightly fruity aroma, not that strong, with hints of saltiness as well. Yum. Absolutely delicious from the first sip. Powerful cherry flavors dominate the start, so fruity and juicy and bursting with flavor. Just fills the mouth. Lightly tart, not really sour at all and no puckering qualities, exactly what I was hoping for. A little acidity and saltiness show up at the finish. Nice carbonation. Extremely refreshing. Sweet and tart and tangy all rolled into one. Fabulous! (However, my wife HATED it, so if this style isn't your thing or you don't care to venture into (even slightly) sour beers, beware). One of the best new offerings from Victory Brewing.